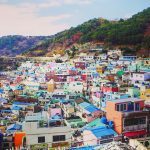 Busan food blog — Top 13 best places to eat in Busan, South Korea - Living + Nomads – Travel tips, Guides, News & Information! 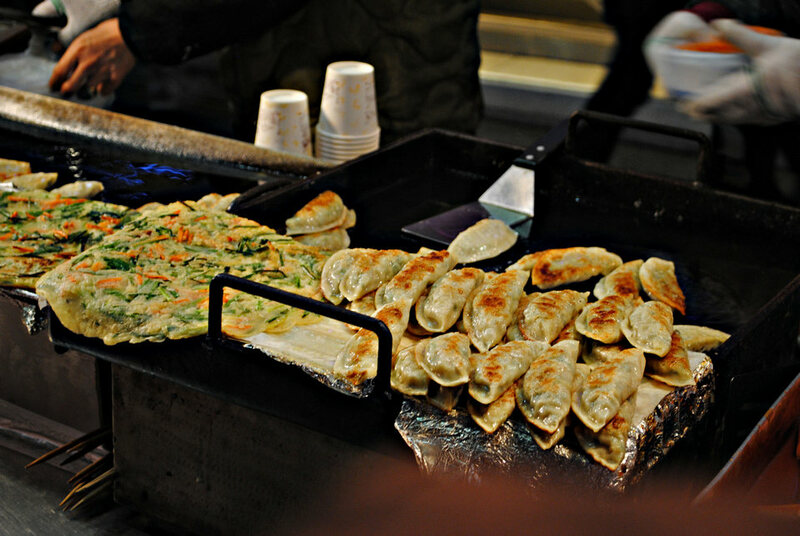 Busan (or Pusan) is a city for people in love, more precisely for food lovers. 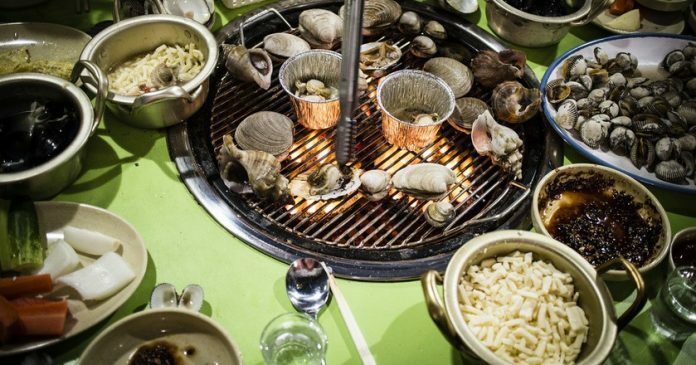 With countless local specialties, traditional food markets and more and more beer shops and best seafood restaurants of South Korea, this is a food paradise for diners. 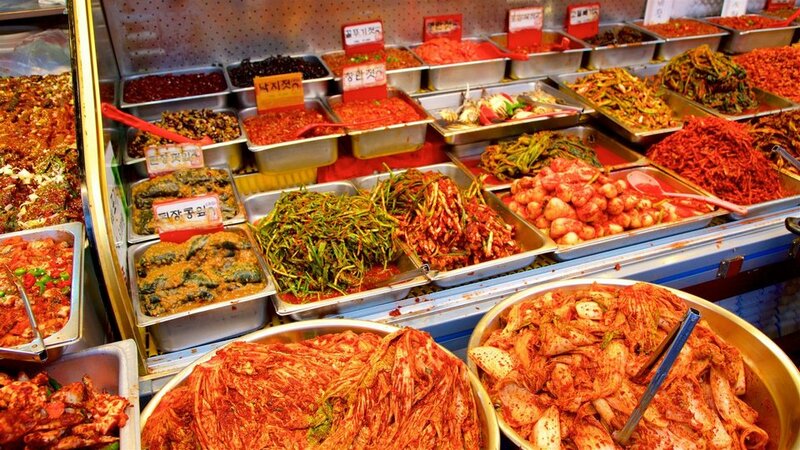 Let us treat you with a two-day culinary tour in this most South Korea’s famous seaside city. 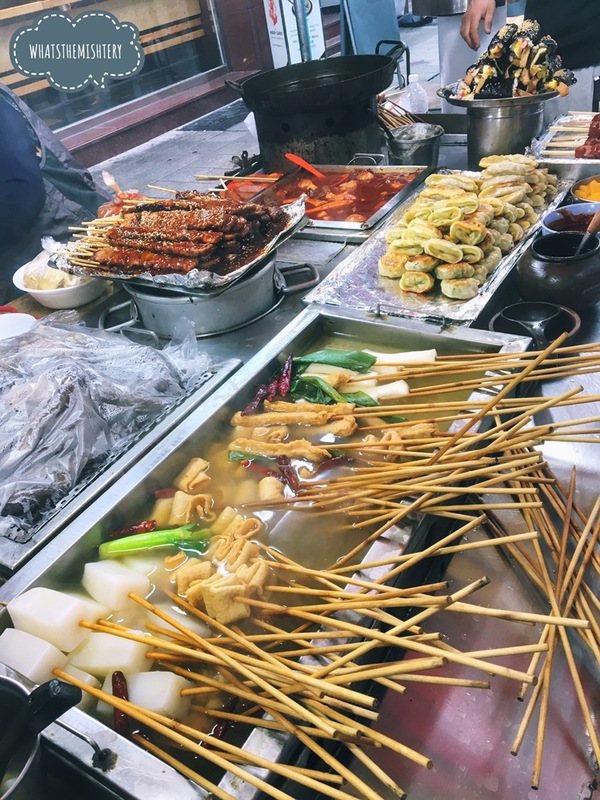 Now, let’s explore what and where to eat in Busan through our Busan food blog, Busan food guide and Busan food tour: Must eat in Busan — How to spend 48 hours for food in Busan below. 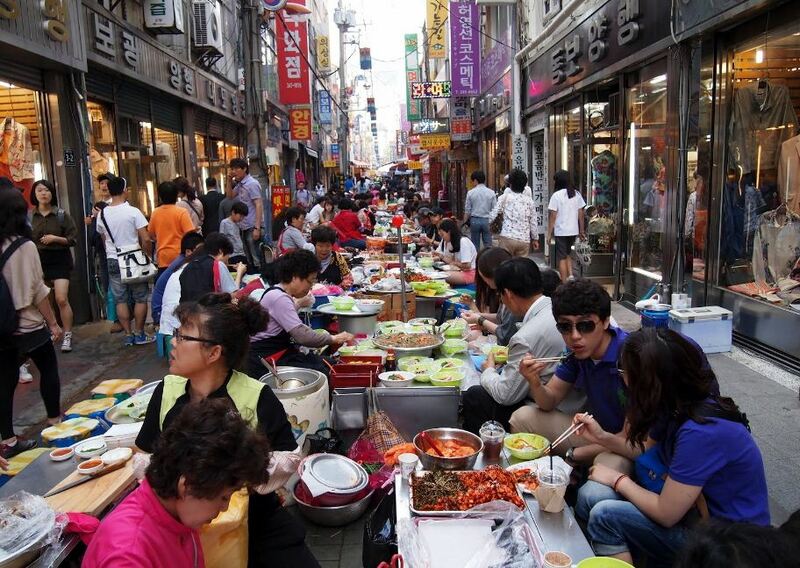 Koreans eating at street food stalls in the Sonmyon district of Pusan (Busan. 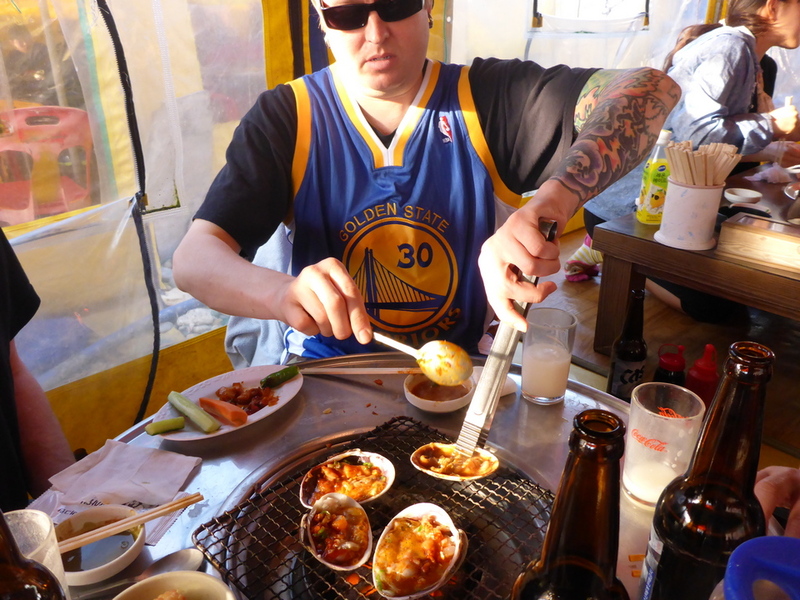 Picture: busan food tour blog. 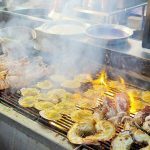 Fresh seafood grilled. 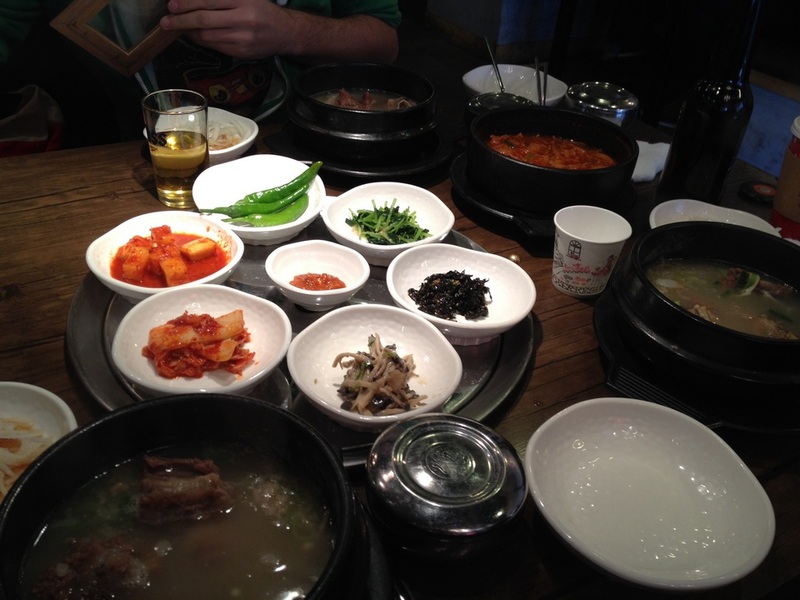 Picture: busan food tour blog. 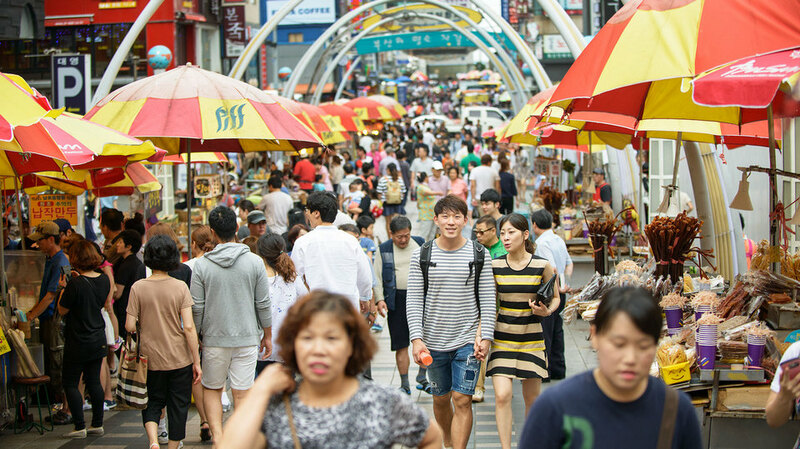 Originating as a place of exchange goods between refugees during the 1950 Korean War, Gukje Market today is both the biggest and busiest traditional marketplace and the most popular tourist spot in Busan. 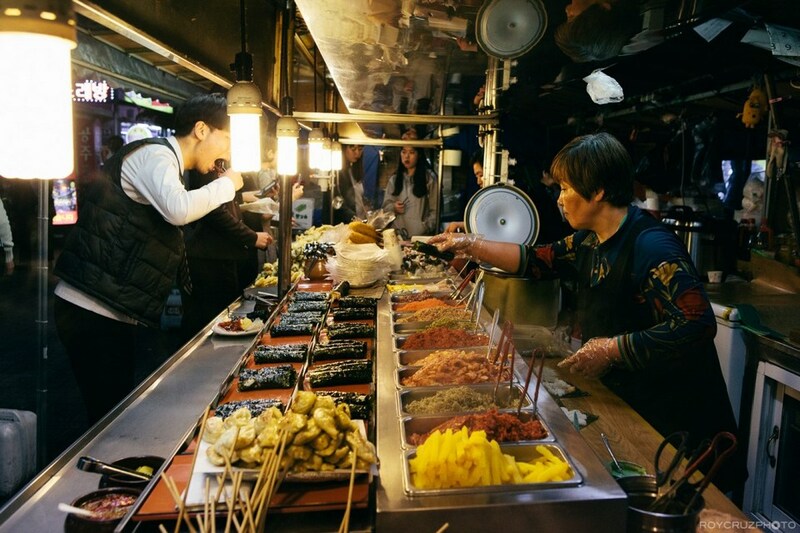 Inside the market, the Restaurant Street will bring you countless delicious Korean foods such as kimbap (seaweed rice rolls), sundae (red sausage) and a long list of noodles. 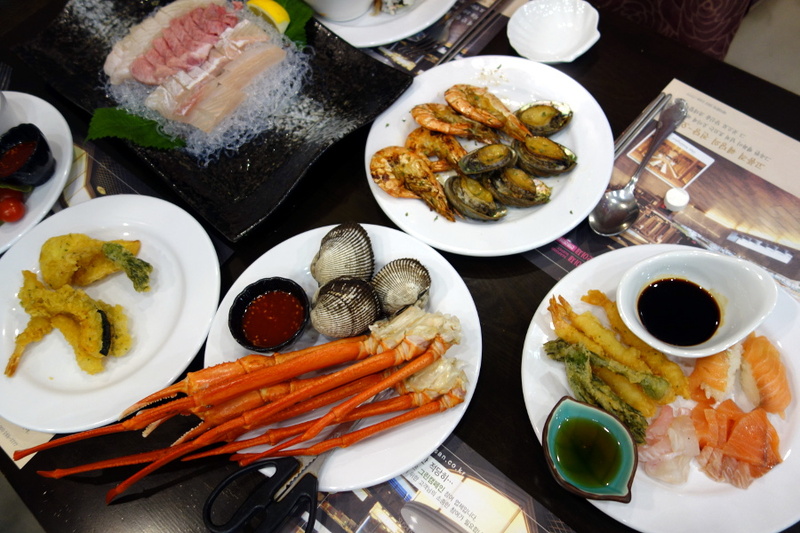 Diners will share the small tables to enjoy the delicious food, fast and enjoy the bustling atmosphere here. 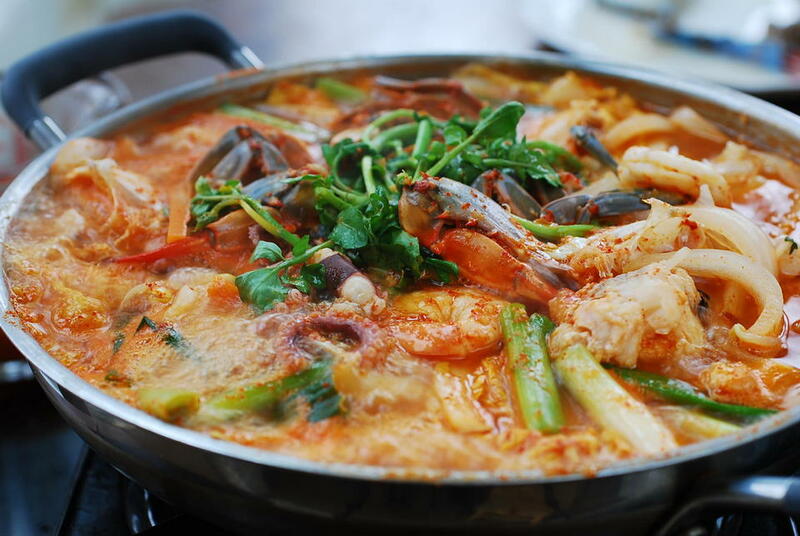 Credit image: Busan food blog. 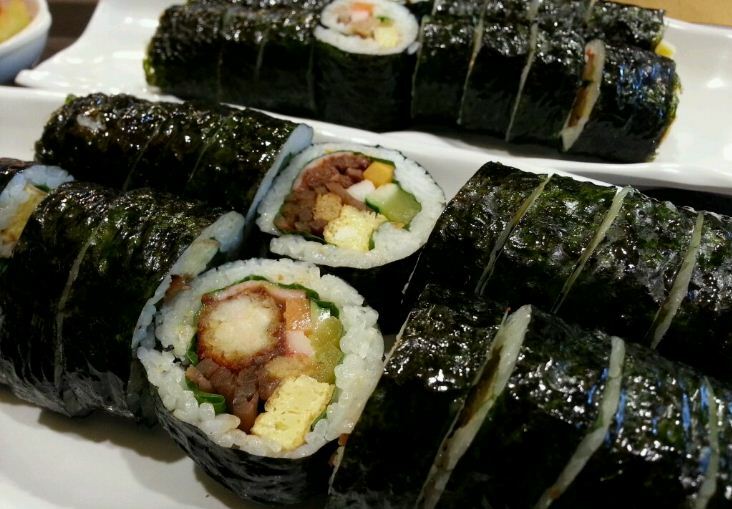 Busan seaweed rice rolls. 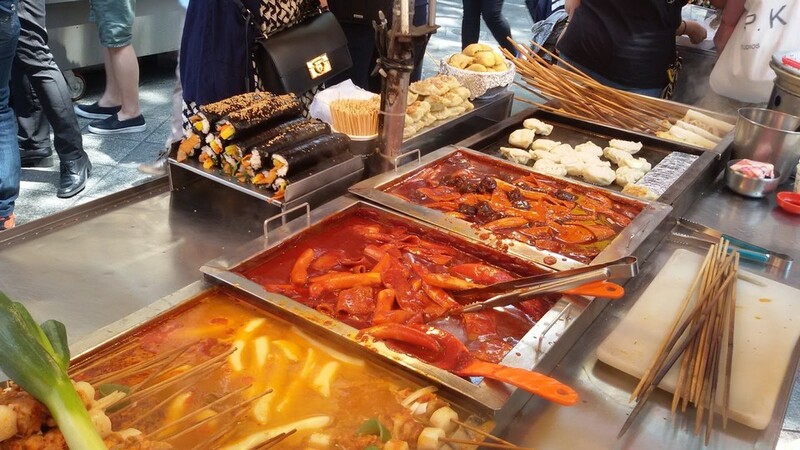 Picture: busan food tour blog. 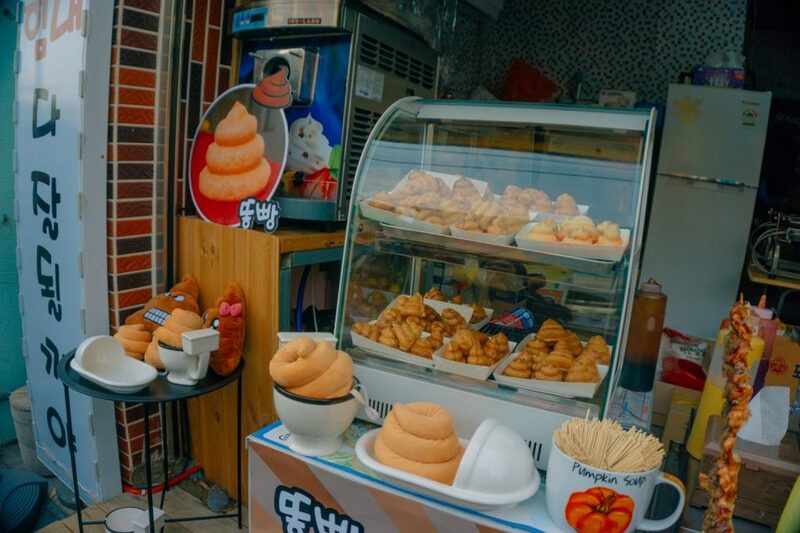 Sundae (makanan Korea). 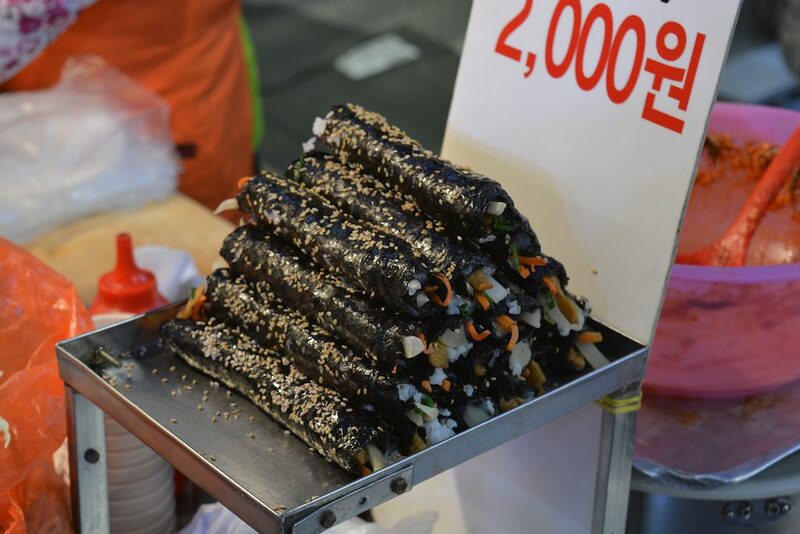 Credit image: Busan food blog. 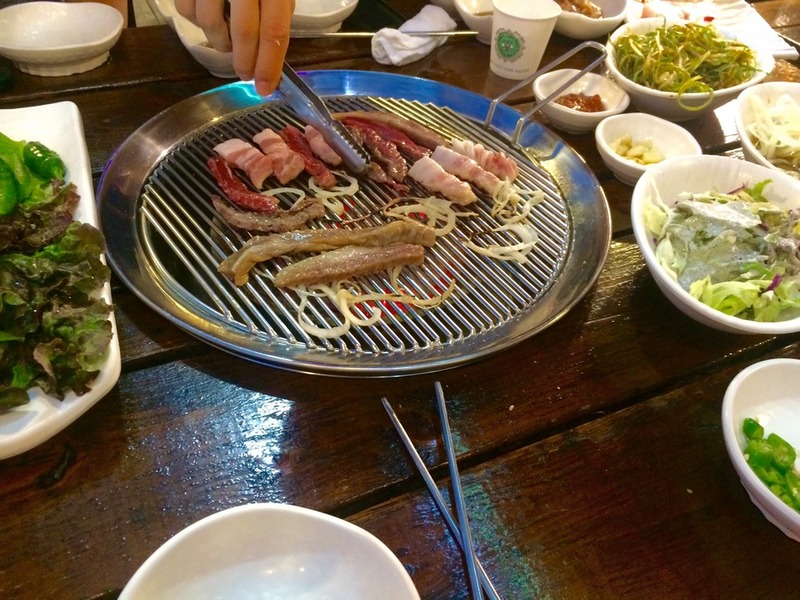 Directions: [Subway] Jagalchi Station (Busan Subway Line 1), Exit 7. Go 30m, turn left, and walk straight 5min to arrive at the market. 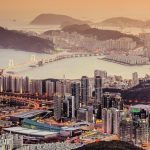 Founded on the occasion of the Busan International Film Festival for the first time in 1996, the BIFF Square is home to the largest movie theaters, featuring models of famous movie stars, plus an area recorded “fingerprints” of the most famous characters in Korean cinema. 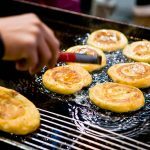 This is also the best place to eat ssiat hotteok, a sweet sizzling pancake with beans, brown sugar, honey and peanuts in the kernel. 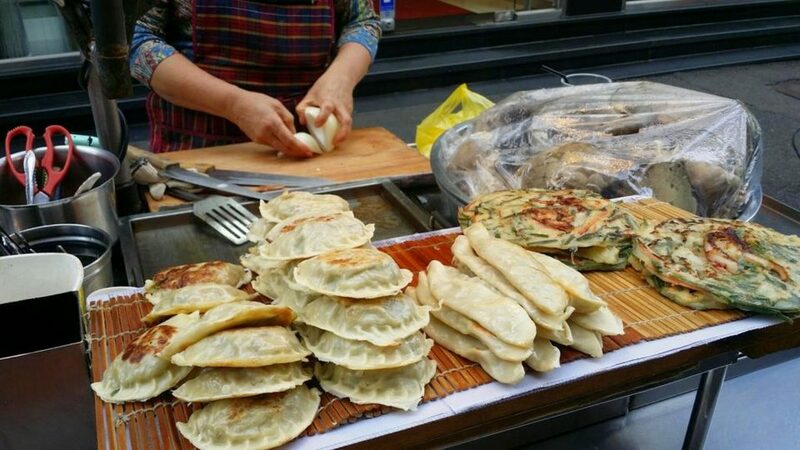 Unlike the traditional hotteok, this dish in Busan is crispy and tough. 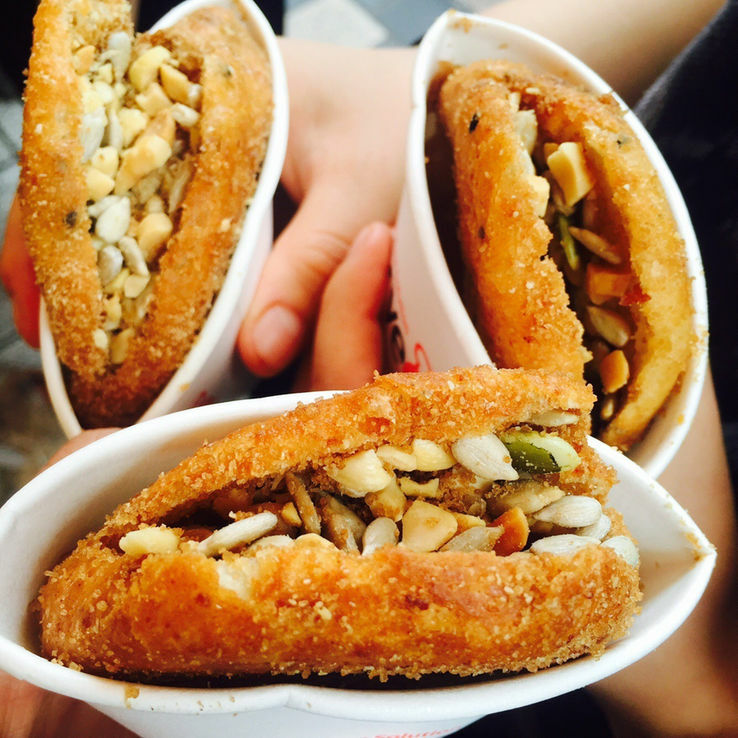 Whether you enjoy a cake in any food stall on the streets, you will be addicted to it! 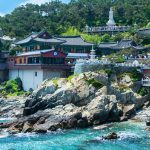 Directions: [Subway] Jagalchi Station (Busan Subway Line 1), Exit 7. 5 min walk from the station (Walk straight and turn left). 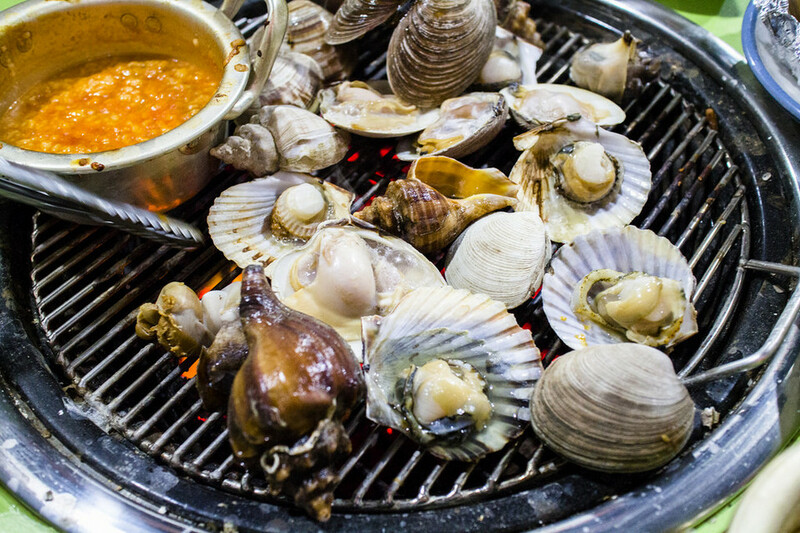 You definitely have to enjoy the best seafood in Busan at the famous fish market Jagalchi, just a few steps from BIFF square. 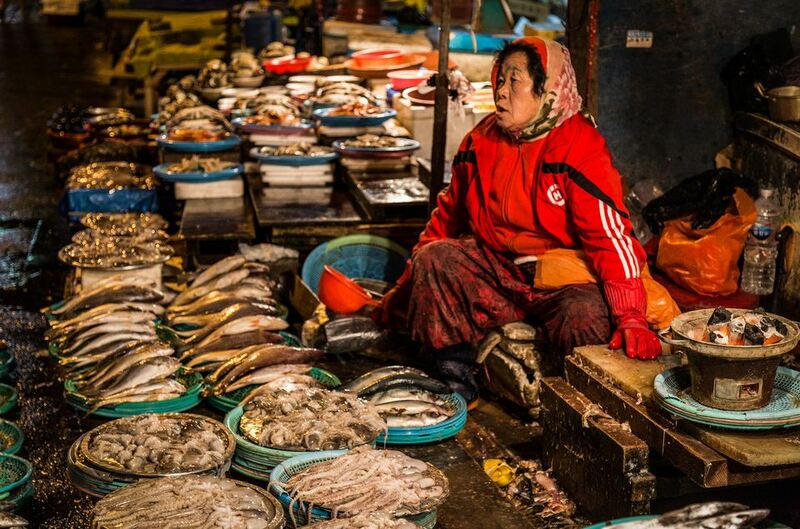 Walking through the stalls of this huge fish market, you will be hypnotized by so many species of seafood. 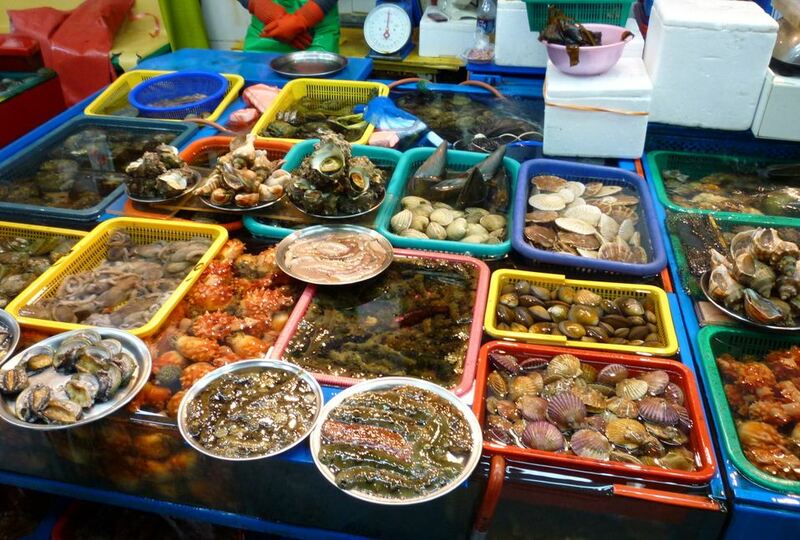 Choose the seafood you like and bring it to the upper floor of the market and the restaurant will processing for you. 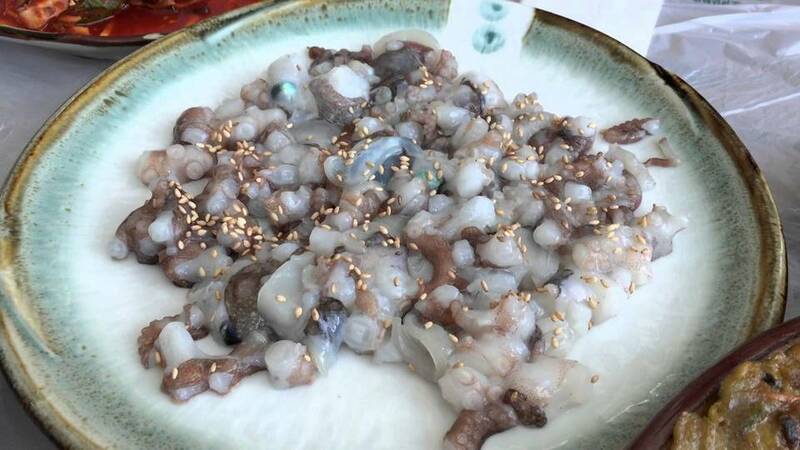 Fresh octopus at Jagalchi Fish Market in Busan. 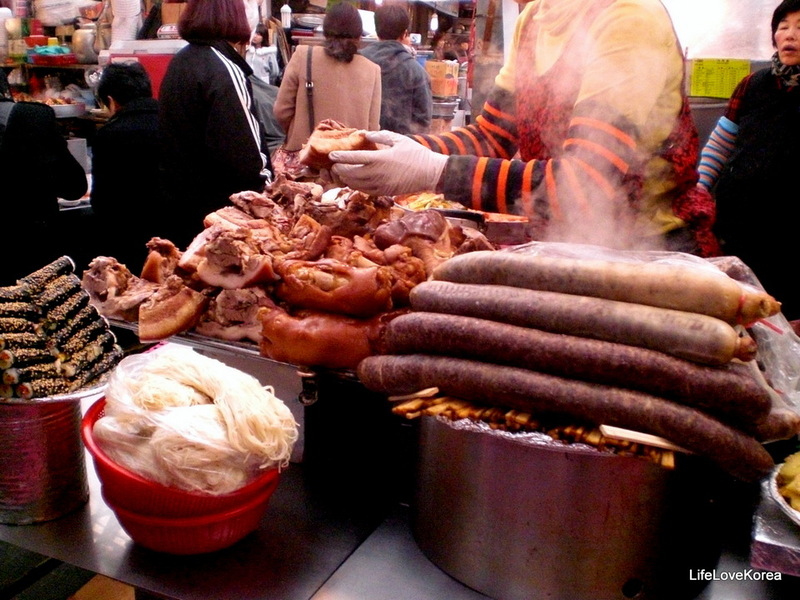 Credit image: Busan food blog. 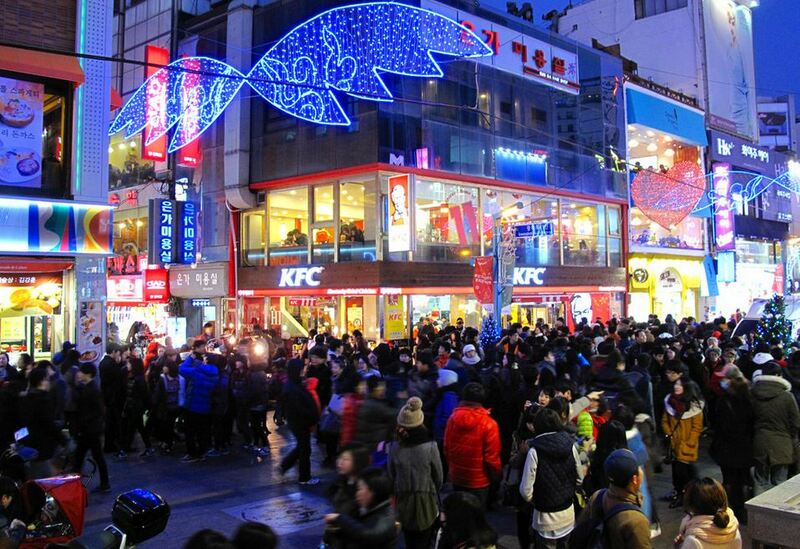 Directions: [Subway] Jagalchi Station (Busan subway line 1), Exit 10. Turn right onto Jagalchi 3(sam)-gil Street. 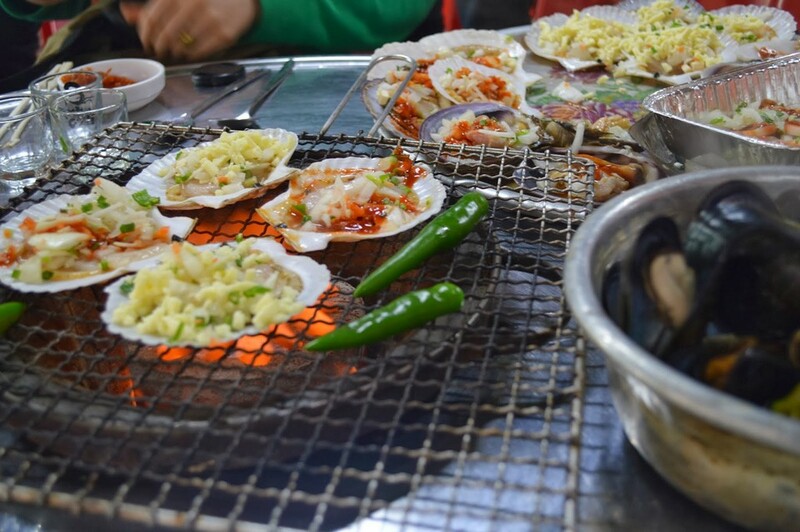 Walk for 5min, then turn left to arrive at Jagalchi Market. 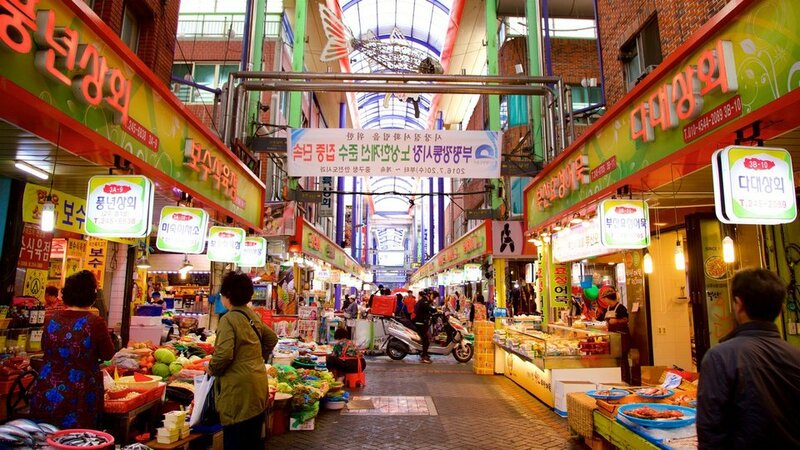 Do not forget to take the subway from Toseong Station and add a short bus to Gamcheon village. 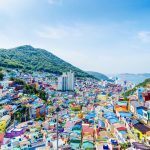 Founded in 1918 when Taegukdo monks sought asylum here, this colorful hillside town is one of Busan’s favorite destinations. 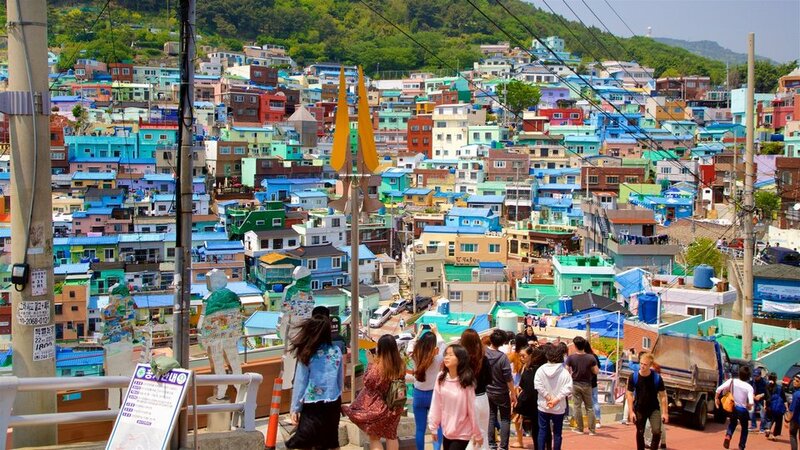 Possessing colorful “lego” houses and many street artworks, the village is considered as a unique cultural space. 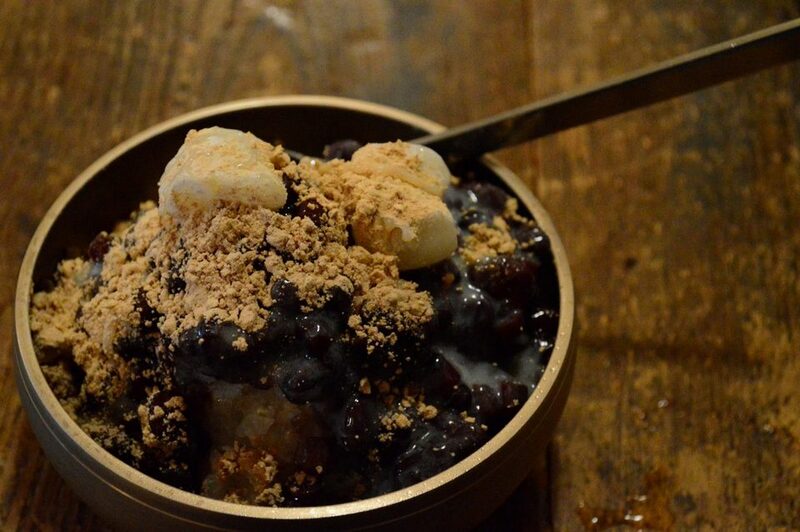 This is also a great place to try patbingsu, sweet Korean shaved ice dish with fruit, condensed milk and red beans. 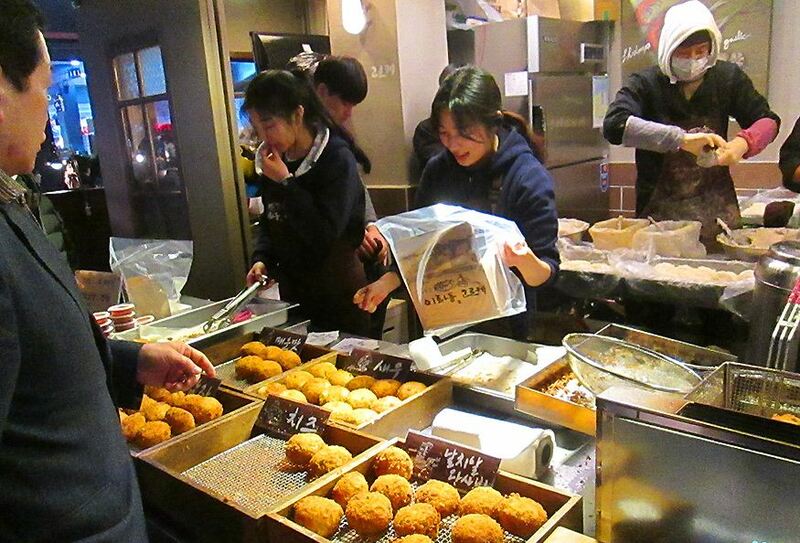 Almost every store in the village has its own version so keep on boldly and try more! 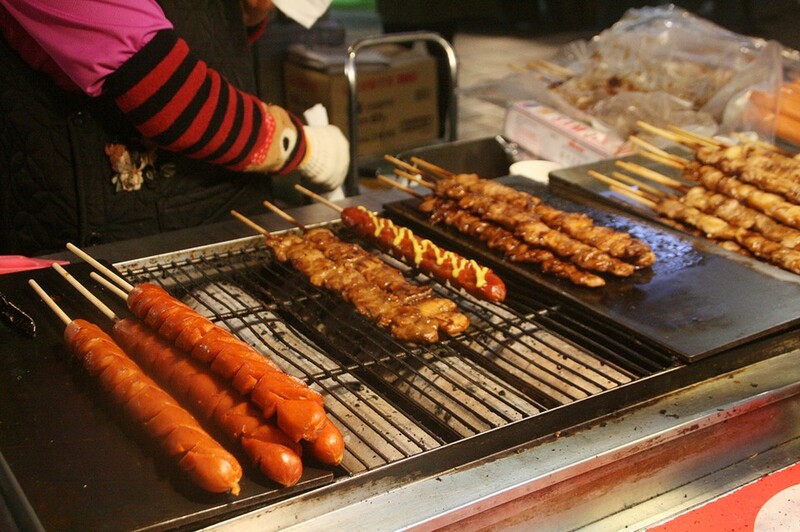 Picture: busan food tour blog. 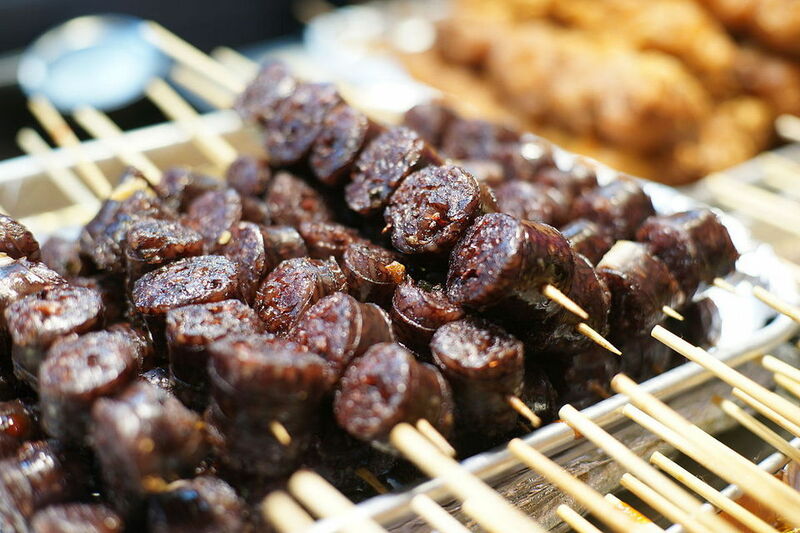 Directions: Toseong Station (Busan Subway Line 1), Exit 6. 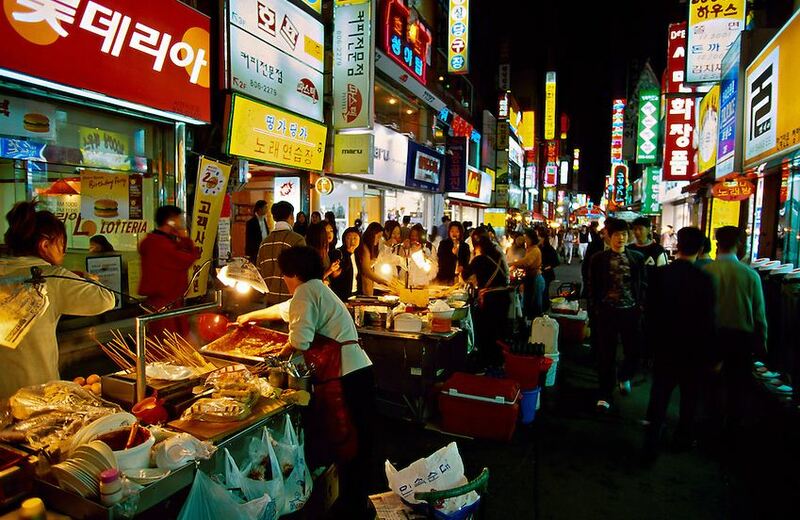 Take local bus Saha 1-1, Seogu 2 or Seogu 2-2 to Gamcheon Elementary School Bus Stop. 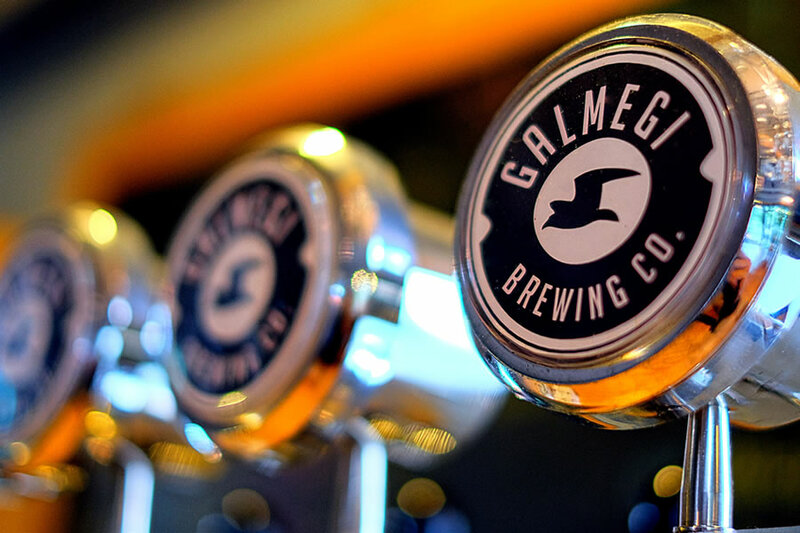 Be sure to go back to Nampo-dong to experience the Galmaegi draught beer. 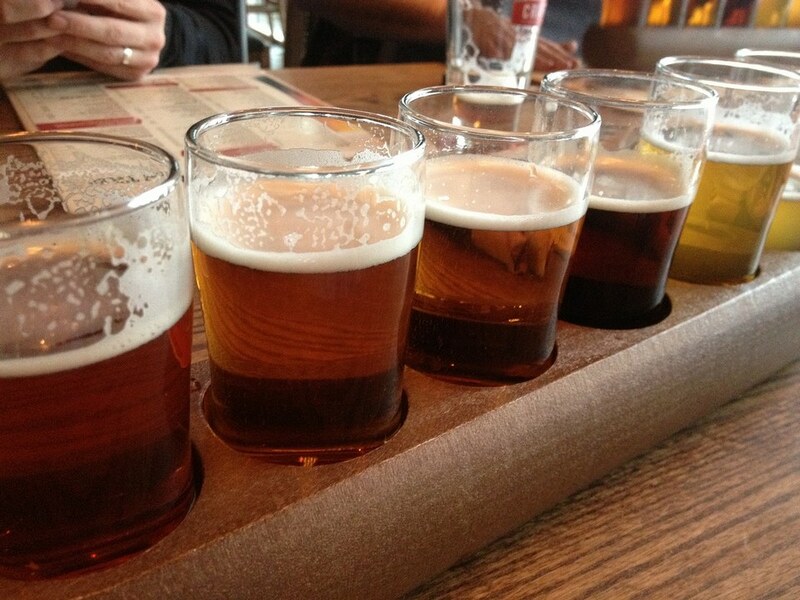 With a wide selection of options, from Espresso Vanilla Stout, Lighthouse Blonde ale to Campfire Amber, you definitely sure to find the right one for you. 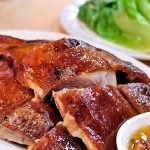 The area also serves light snacks, which are suitable for gatherings before “try” the main dish. Directions: [Subway] Nampo-dong Station (Busan Subway Line 1). 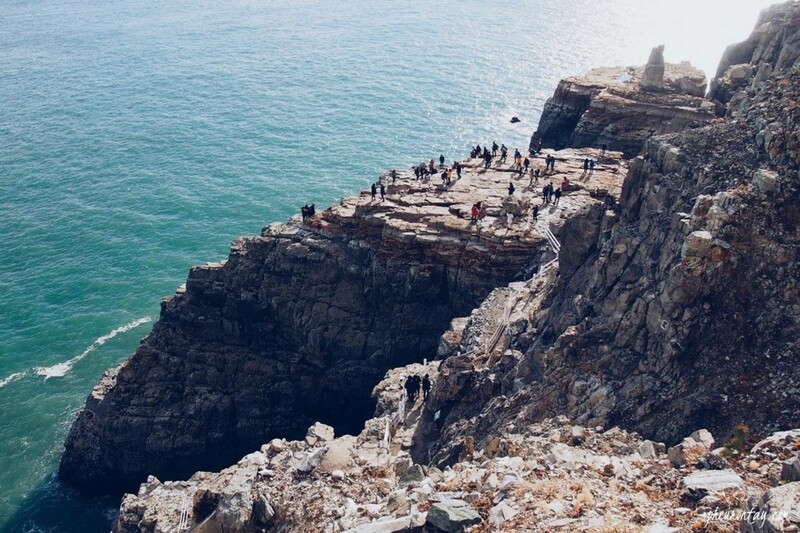 Busan Taejongdae Park Rocky Cliff. 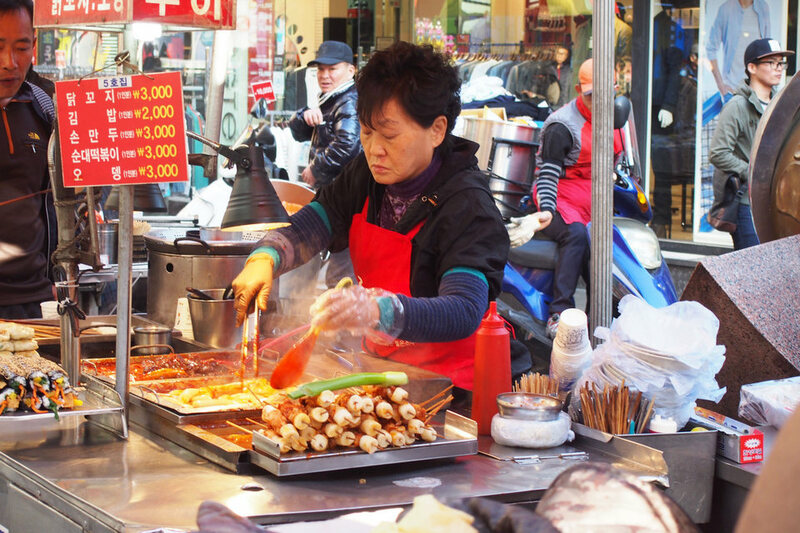 Picture: busan food tour blog. 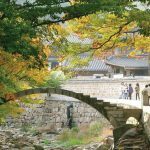 If possible, catch the sunset in Taejongdae, the intersection of lush green forests, rocky cliffs and vast ocean. 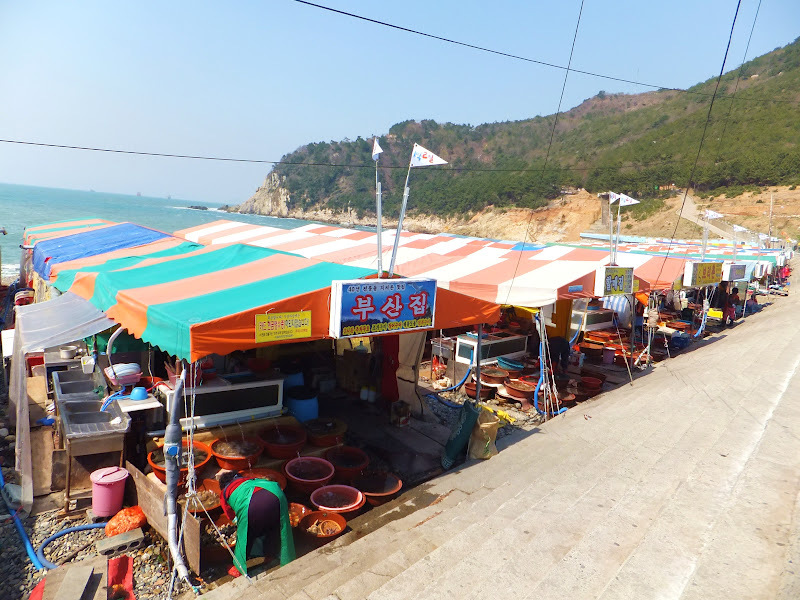 Here, there is a long line of stalls selling strange and delicious seafood of Busan. Almost all stalls are equally priced — they are soju alcohol with extremely fresh clams. 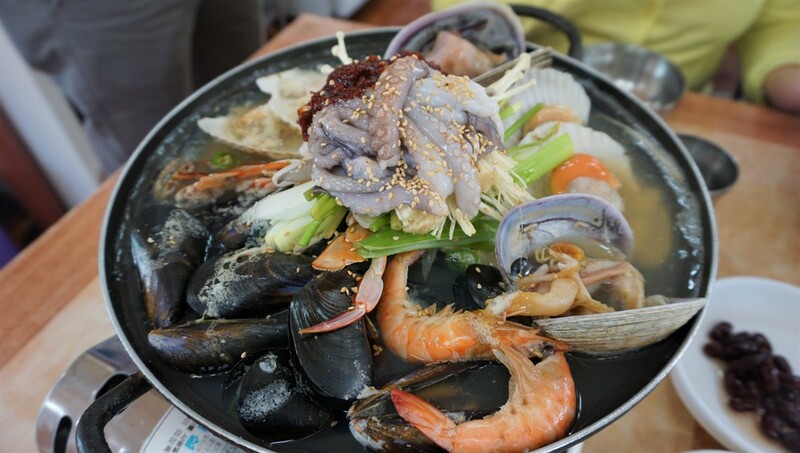 In fact, you can watch the fishermen dive under the sea to catch seafood from 50 meters away. The dining table is decorated with colorful umbrellas reflecting the sunset. 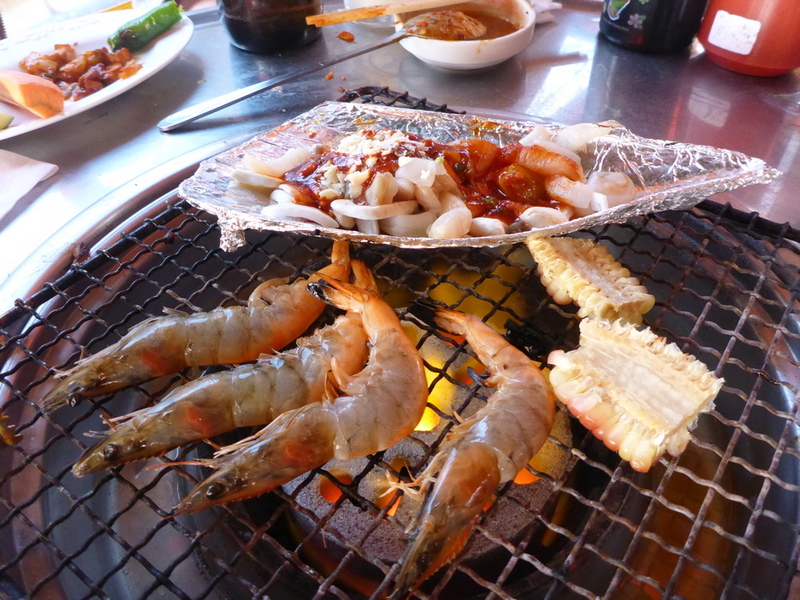 What a wonderful scene while enjoying the beautiful landscape and barbecue seafood for dinner. 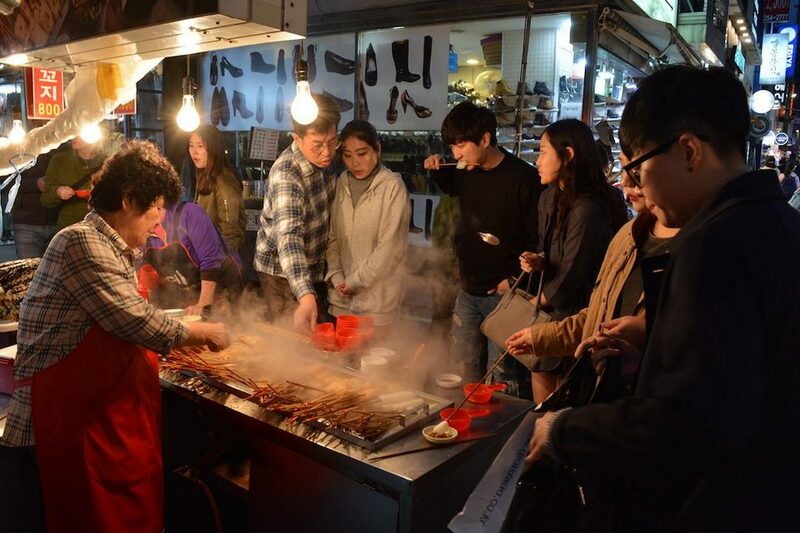 Selling the same seafood. 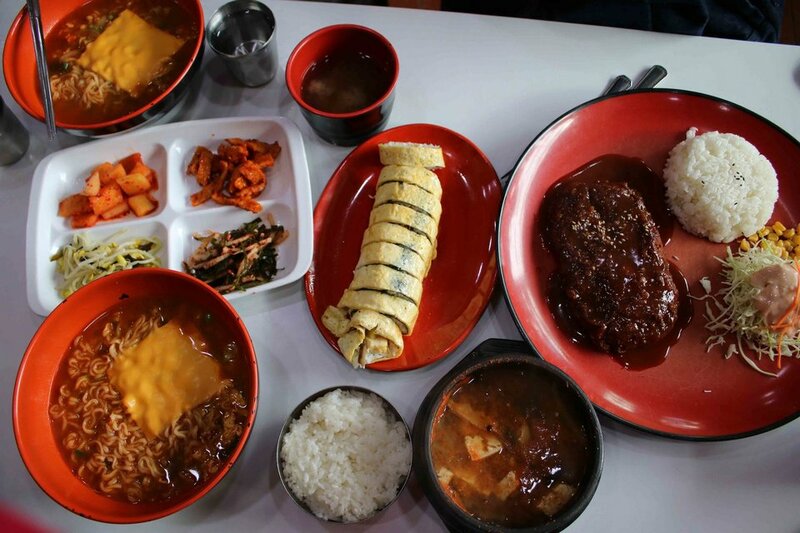 Credit image: Busan food blog. Directions: [Bus] From Busan Station, take Bus 88 or 101 and get off at Taejongdae Cliff Bus Stop. Other buses bound for Taejongdae: No. 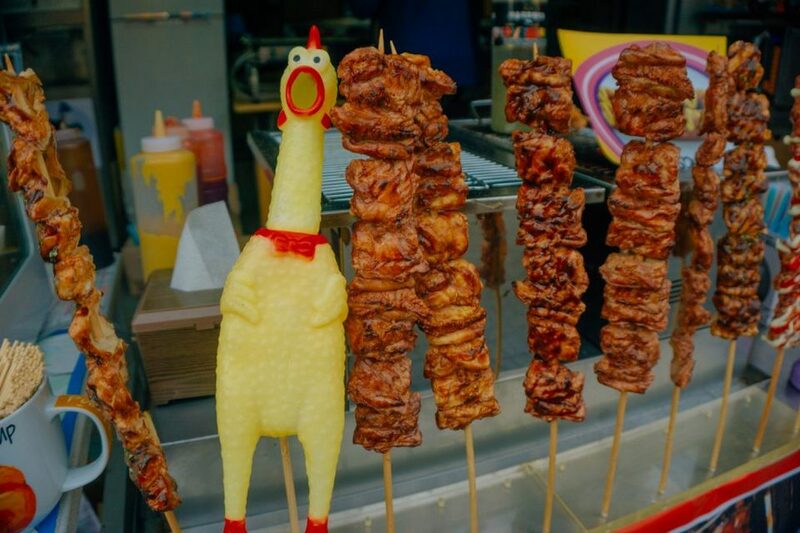 8, 13, 30, 88, or 101. * Local bus schedule is subject to change, please check to confirm before visiting the site.